Today, there are the SUV’s. Yesterday, there were the “Army Trucks”! When the camp opened in the late 1940’s, there were logging and cart tracks, loosely defined as roads. These “roads” required special vehicles to traverse them. 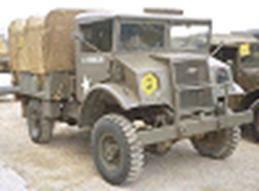 With great vision, or out of necessity, the camp invested in two World War II army trucks to solve the problem; and did they solve the problem! They were war surplus Canadian Military Pattern (CMP) trucks designed and made in Canada for the Second World War. The initial design was begun in 1937 by Ford of Canada and followed British specifications. 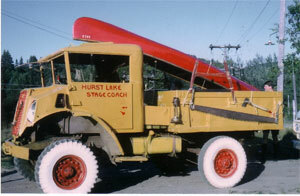 General Motors of Canada joined the project in 1938, and the two companies worked together for the duration of the war. (Probably the first and last time that GM and Ford have worked together.) By September 1945 (the end of WWII) the two companies had built 410,000 regular trucks, plus 306,000 modified trucks, plus 50,000 armoured vehicles, plus 91,000 modified civilian vehicles. We had two of the regulars; and they were beauties. They were called 15 CWT, which stood for “Fifteen Hundred Weight”, which meant the vehicle weighed 1,500 pounds. (C=100 and WT=Weight) Not big for an army truck, but extremely versatile. They were right hand drive, two or four wheel drive, wooden steering wheel, a hatch in the roof for the passenger, who acted as an observer, front windshields that were hinged at the top and opened outwards (just so that you could have flies on your teeth by the end of the day). To start the engine, there was a key; which only activated the ignition. You actually started the engine by pulling a lever on the floor. This wasn’t a sure thing, since the battery was usually dead. Consequently, as a general rule, at the end of each day, you would back the truck half way up the hill from the Ab Shack (Q.M. Shed) on the way to Mill Valley and Kennaway cabins. While you stood on the brakes with both feet, your partner would jump out, grab a few rocks and stuff them under the tires. The brakes were never really dependable, if at all. Which brings us to the thickness of the bumper. I swear that it was an inch thick of solid steel; so, if you met another vehicle on the road and couldn’t stop, you just turned into the bush and had a few trees slow you down. The bumper was a god-sent. In the morning you would get in, turn the key, yell at the other guy to remove the rocks and roll down the hill. At a precise moment, you’d “pop the clutch” and hope that the engine caught. If it did, you didn’t turn the engine off until you had finished your job, or, you made sure that you parked it on a hill for restarting. “Popping the Clutch” is a phrase that’s slowly disappearing with the introduction of the automatic transmission. In addition, our trucks were from the era before the modern clutch, where double clutching was required both to gear up and to gear down. You certainly learned basic driving skills when you learned on the army trucks. What about the terror of a flat tire in the middle of the wilderness? Not a problem. (The Brits spelled the word tire as “tyre” back then, but that’s another story.) The technology to ‘cure’ a flat tire in the wilderness has been around for a long time. Canadian Tire reintroduced the technology to the public just a few years ago as a new idea, but it wasn’t. Here’s how it worked. If you had a flat, you turned off the ignition, unscrewed a spark plug, screwed in a special unit with a pressure hose into the cylinder opening and screwed the other end into the flat tire. When you started the engine, the cylinder pressure would blow up the tire with a gas vapour mixture. The only draw back would be if you let the new “air” out of the tire and you happened to be smoking a cigarette at the same time. Your imagination could paint a picture, but nothing ever happened to my knowledge. Speaking of gasoline, the level of gas in each of the two saddle tanks was determined with a very modern stick shoved into the tank. The real gauges lost their ability long before we took possession. Never was it a soothing, quiet ride. It goes without saying, that there was no muffler, but to make matters worse, the engine was located in the cab, between the driver and the passenger. The engine cover was ‘long gone’ and the noise was deafening. As an added bonus, when accelerating up a hill, the engine would be screaming, and, just before reaching the crest of the hill, the cover for the engine’s air filter, would take off straight up in the air. It was the passenger’s job to catch the lid in midair and replace it when the engine settled down. In the late 1960’s or early 1970’s, our two trucks were on their last wheels. Someone, somewhere, was able to locate a “new” army truck. Myself and another fellow were sent south to pick it up. At first glance, I burst out laughing. The truck was new to us, but it was exactly the same vintage as the two that we had just exhausted. Anyway, it had a shiny, bright red paint job and we proudly drove it all the way back to camp, with one of us standing through the observation door in the roof, since the it was right hand drive as well. This truck had two extras that the other two didn’t. It had a winch on the front bumper and a tow truck lift winch in the back bed. These came in handy to pull cars out of ditches and to drag the Queen boats out of the water in the fall. Finally we had to give up on the ‘new’ truck as well. As far as I can remember, it was sold to someone locally. For several years after, we’d still see our old friend chugging through the Highlands. Life’s experiences! You can’t buy them all. If you’re lucky, you get to live a few of the good ones. 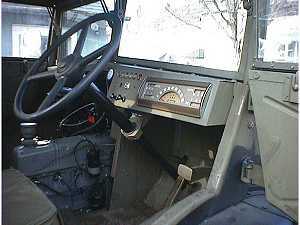 Ted, Great story about the army trucks, I had many adventures in them as did others. By the way do you remember me? Where are you living , how have you been, etc. Reply by email if you want, I don’t do facebook or twitter. Hi Ross. Please contact me so that I can have you up to date on the Alumni membership list! I would love to see an old army truck parked at camp as a momento to years (and Scouters) gone by. I spent many a day on a army tow-truck with my grandfather in Bancroftmaybe it was from the camp?